Ice Carve Pro Lathe – Computerized/Motorized. 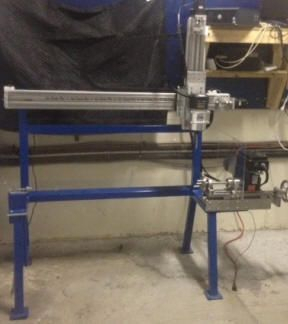 $13,800 ($11,800 for current Ice Carve Pro CNC owners) This plug and play lathe was designed to work with our Ice Carve Pro CNC machine or as a stand-alone system. This machine can be run in the freezer or at room temperature. This fully automated lathe can turn 20”x 20” x 40” ice into decorative flower vases, luminaries, columns or pedestal for ice bars/cocktail tables. The machine comes with 10 preprogrammed designs which will square your ends, so that your columns stands straight up. It is very simple to draw your own design and write the tool path.